What Percentage of Your Income Should You be Saving Every Month? If you are attuned to your financial health, you may be well aware that personal finance experts advise you about the importance of regular savings. Savings balances are directly correlated to personal debt and financial security. As savings balances increase, personal debts decrease. If you want to improve your financial health and well-being, it makes sense to contribute to monthly savings goals. However, you may not know how much to save or how to get started. With a closer look at monthly savings goals and strategies, you can better determine how to allocate your funds. 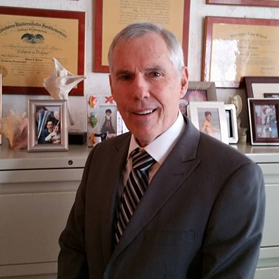 William Doonan was born & raised in Bronx N.Y. and is a graduate of Fordham College & Brooklyn Law School. William, was admitted to the U.S. Tax Court and started preparing taxes in 1981 with hopes of helping hardworking citizens across the tristate. He is also a former NYC public school 8th grade math teacher and lifeguard of Orchard Beach.